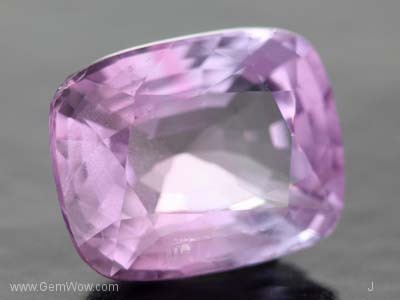 This very attractive purplish pink bi-color like Burma spinel has a "steely" tinge. It is an uncommon color and the piece is very eye clean. It has two beautifully formed "insect wing' inclusions adding to its charm and attraction. The high refractive index (optical density) of spinel gives the gem a diamond-like brilliance. 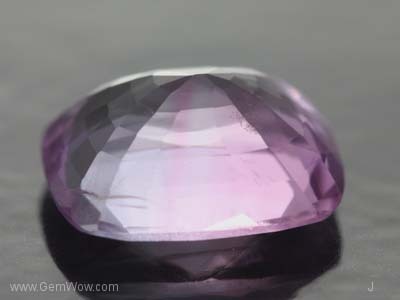 The cutting is on the shallow side giving the gem a "big spread" while showing good symmetry and balance. A prefect ring stone for guy or girl! 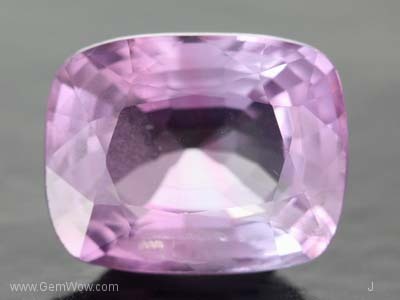 Nice big face clean pink spinel. Window in the middle! Can see slight color zoning. Can improve by recutting but need to keep weight above 3.00 carats. Also study carefully if color will be become lighter!